Listen to the beat of Africa Djembe drums and harmonious voices of choral singers, revel in the rumbling calls of the lions and the trumpeting of the elephants at sunset - there is simply no escaping the call of the African Bushveld and you’ll understand why, once you’ve sojourned at her magnificent game lodges and played at one or all of her astoundingly beautiful bushveld golf courses. Upon arrival at Johannesburg International Airport, you will be met by a friendly African Fairways representative and assisted with your private three-hour road transfer to the Botsebotse Game Lodge in the Bela Bela region of Limpopo. This exclusive bush retreat is situated in the malaria-free Zebula Game and Country Reserve. There are no predatory animals at Botse Botse, so it’s an ideal environment to explore on foot or mountain bike, commune with nature and grow your love of South Africa’s natural splendour. For those who are looking for a little pampering you can enjoy a relaxing in-room massage or visit the acclaimed Zebu Spa at Zebula Country Club, where world-leading therapies meet the heart and soul of Africa. Three nights’ accommodation at this five star lodge is on a dinner, bed and breakfast basis. Recharge your mind, body and soul as you enjoy a round of golf at Elements Golf Course. 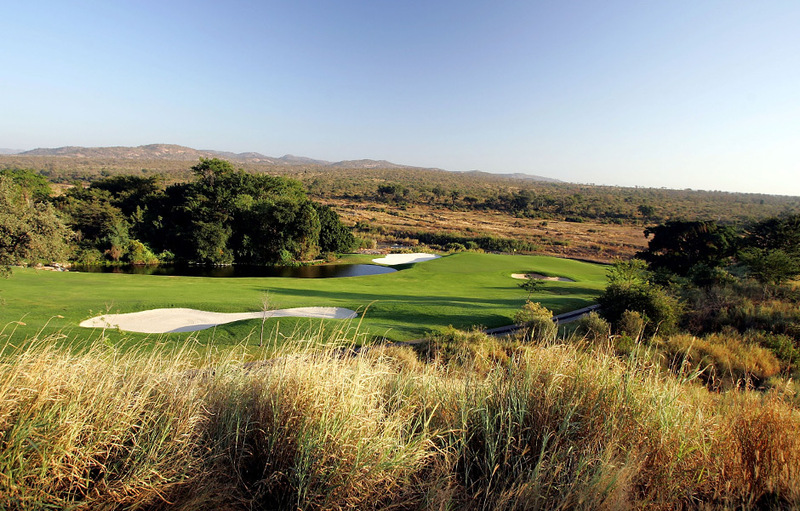 This bushveld course designed by Peter Matkovich rolls out across a lush fertile valley. Currently ranked 15th in the Golf Digest Top 100 for 2012, the course is an enjoyable challenge for all levels of players but does require you to play a strategic, thinking game. You can also enjoy a game of golf at the Zebula Country Club which rolls out across the open plains of the reserve where herds of game roam freely. With luck you’ll experience a magical encounter with a shy zebra, a lofty giraffe or two, or spot some of the resident Waterbuck on the course. 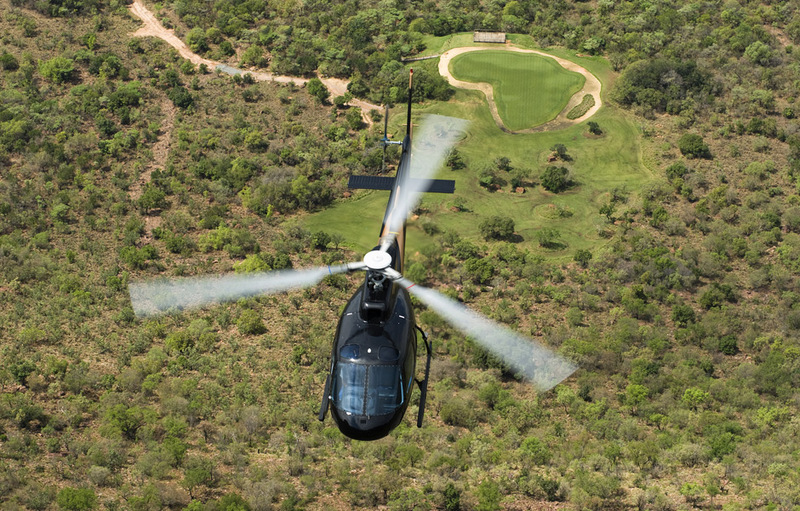 After an early morning start, you will be transferred deep into the heart of the Entabeni Conservancy in the Waterberg region. This transfer can take up to 90 minutes. Here you will spend two nights at Legend Golf & Safari Resort in a Resort Suite on a full board basis including 2 game activities. 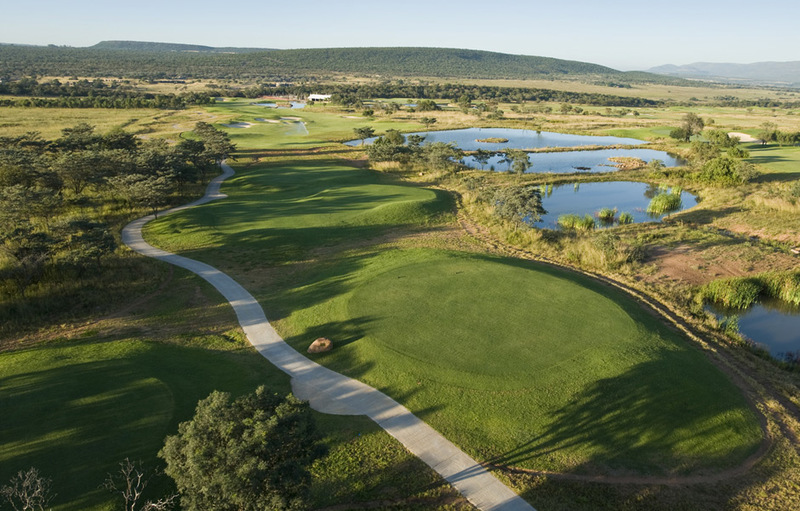 Situated on 2,200 hectares of malaria-free Entabeni Safari Conservancy, Legend Golf & Safari Resort is one of the most innovative golf and safari developments in the world. Here you will play Africa’s most innovative golf course: the world’s first Championship Signature Course which boasts 18 incredible holes designed in collaboration with 18 of the world’s top golfers. In addition you can play Legend’s nine-hole Tribute Course which pays homage to nine of the greatest par-three holes of golf ever designed. Optional: For a truly memorable and exhilarating experience Legend’s Extreme 19th hole is a must for your bucket list. 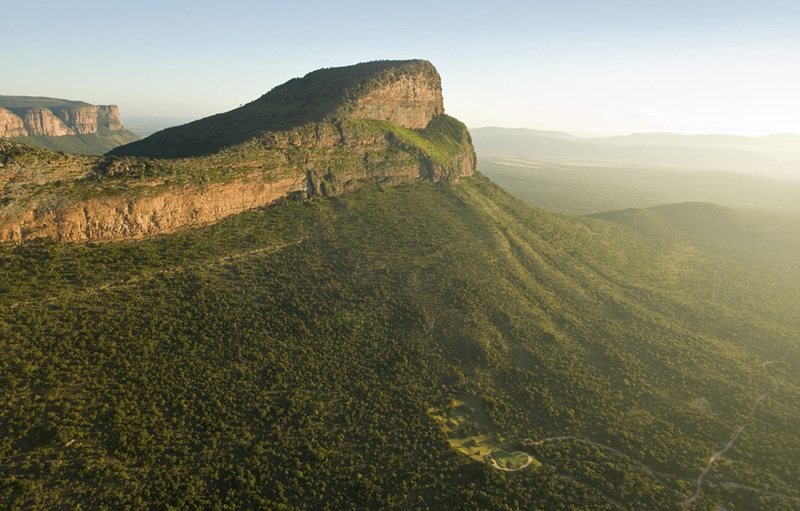 This is the world’s highest and longest par three and is accessible only by helicopter. You have a 361 meter shot to the African continent-shaped green, sitting some 400 meters below the tee. Golfers can choose to play this extreme hole in addition to their round of 18 holes, or as an experience on its own. There are many activities to keep you entertained during your stay. Why not visit the Buffalo Breeding Programme, or Legend’s Wildlife and Cultural Centre Tours or enjoy a game drive. For the more adventurous try abseiling, kayaking, and parasailing or a helicopter flight. You will be assisted with a private road transfer to the Greater Kruger National Park where your accommodation at Jock’s Safari Lodge is on a three nights’ full board basis and includes game activities. Reminiscent of the romance and elegance of the bygone colonial era and reflecting the unique style of the indigenous Zulu and Shangaan cultures, this luxurious Lodge will not disappoint. The area is noted for its breathtaking topography, two pristine rivers and its diversity of game, in particular the Big Five. Your days will also be spent enjoying early morning and afternoon game activities, enjoying natures beauty and in search of the Big 5. 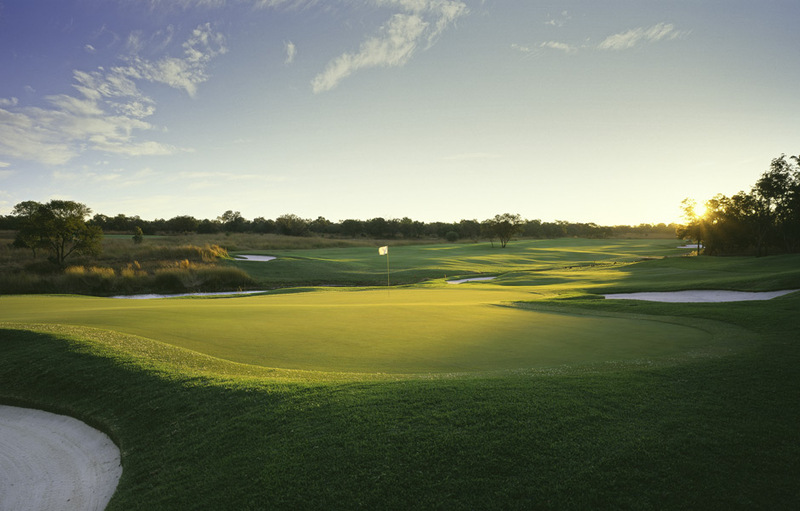 On a chosen day you will experience the joys of playing at Leopard Creek Country Club, South Africa’s number one ranked golf course. 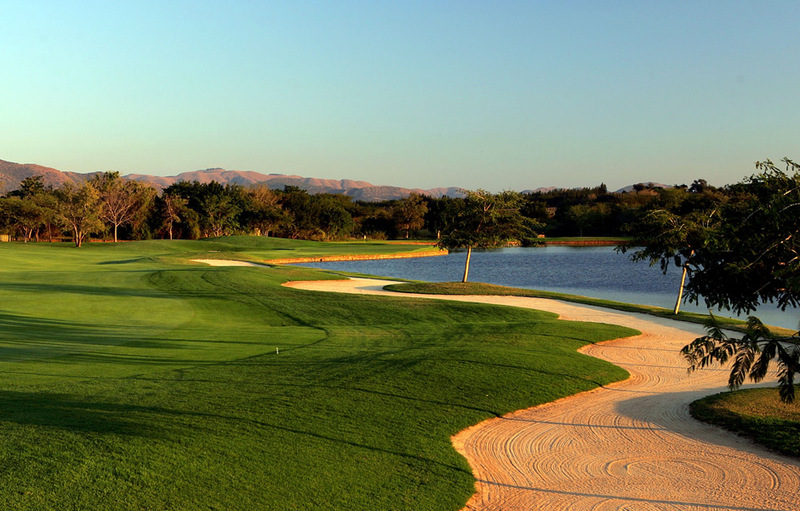 Set under the great African sky, bordering the Kruger National Park, Leopard Creek will tick all the boxes on your list of the ideal golf course. Designed by Johann Rupert and Gary Player the course will provide an enjoyable and stimulating challenge for all golfers. Road transfer to the course is approximately one hour or you could choose an optional transfer by light aircraft or helicopter. After your last early morning game drive, you will board a scheduled light aircraft transfer back to Johannesburg International Airport.